We recognize the responsibility to maintain order, while upholding the United States Constitution, and affording dignity and respect to every individual. Our objective is to improve the quality of life through a community partnership which promotes safe and secure neighborhoods. 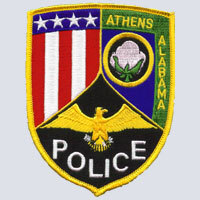 The City of Athens Police Department consists of 40 sworn officers, 10 civilian employees, and 2 temporary employees. We service a population of approximately 20,000 people in the City of Athens. The City of Athens consists of an area of 33.5 square miles. 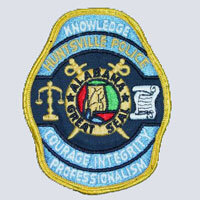 The City of Alabaster Police Department is located 20 miles south of Birmingham, Alabama and is considered by most to be part of the Greater Birmingham area. 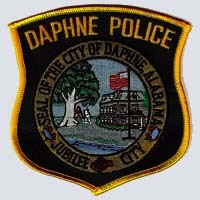 We have approximately 30,000 residents and serve them with a Police Department consisting of 80 employees. Our mission is to protect life and property, preserve the constitutional rights of every citizen and to vigorously enforce the laws of the United States of America and the Great State of Alabama. We strive to accomplish our mission within the constraints of law, with respect for human dignity and in accordance with the highest standards of performance and accountability. The Tuscaloosa Police Department is responsible for providing Law Enforcement and other services to the citizens of the City of Tuscaloosa. The Department's community oriented policing philosophy allows officers to work in partnership with citizens to achieve their responsibility goal. The department has authorized 251 sworn officers who are supported by over 60 civilian employees. 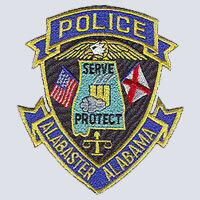 Last year, Tuscaloosa Police Officers responded to over 109,000 calls for service.